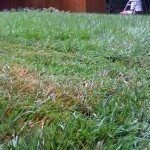 I live in central Texas, Zone 8, and am considering zoysia to resurrect a Bermuda yard. How long will it take the zoysia, plugged at 12 inches, to fill in and cover a yard? 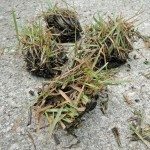 When growing zoysia from plugs, the slow-growing grass can take up to a year or so to fully establish.